Home » How To Choose A High-Quality Filter Cloth For A Cleaner Equipment? Do you know utilising a bag filter benefits your filtration system? Well, using a custom filtering device for managing the toxins in a warm gas air circulation allows a company to match its filtration equipment exactly to the requirements of its applications. Wondering how to choose good filter cloths? Simply check out our handy guide below to learn all you need to know! Filter cloths are similar to the air filters which people have in their houses, except they are used in equipment when manufacturing the product. Just like the ones which are used in homes, these filtration devices are designed to catch particles and other things which should not make through. But, with a number of filtration bags to choose from, how do you choose the best filter bag or cloth for a better product? Here’re a few useful tips to help you pick filter cloths which meet and exceed your expectations! One of the foremost considerations which you must take into account is the type of material used. The kind of material utilised for filter cloths greatly depends on the equipment and products used. The most common materials used for the filtration equipment include nylon, polyethylene, Rilsan and polyester. This is a key aspect you must keep in mind when looking for a manufacturer of filter cloths. You need to see the styles and sizes which are readily available as opposed to being ordered or specially made. This can be easily factored into the manufacturing process for ensuring you will always have the supply which you need. Most manufacturers can accommodate custom products which are designed especially for your process. Talk with a leading manufacturing company which has an experienced team that takes the times to understand your specific needs for a specific design, material, finish and any other feature. Another vital aspect you must keep in mind when buying a filter cloth is the design of the product. While some filter cloths are finished with grommets and finished sewn edges, there are numerous other design choices. Again, the process where it is largely used determines the kind of design which is required. Before making any final decision, you should find out about the manufacturer’s various policies on shipping, returning the products and guarantees. Check how easily it can be returned or get your desired size if the one bought by you doesn’t suit your requirements. You should even inquire about the standard shipping service for the company and how long the manufacturer’s handling time is. The most important question which you should consider when selecting a manufacturer of filter cloths is: what type of environment will you be using it in? Whether you are planning to counteract a highly vicious flow or extract product from your airstream, knowing the main varieties of filtration will help in deciding the kind of application which you wish to happy. What are you still here for? 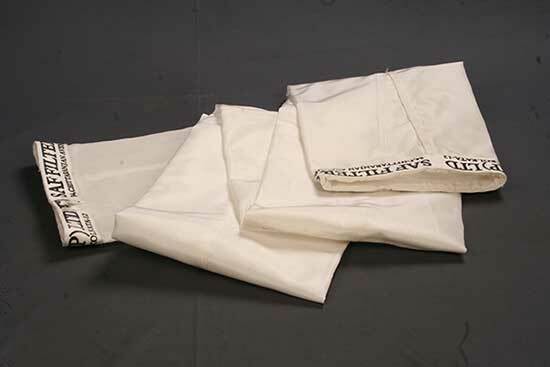 Quickly find a reputed filter bag manufacturer and get your desired filtration product at affordable prices!